Media Vision. 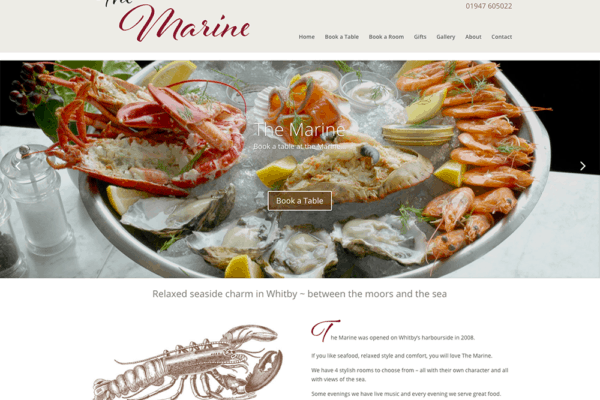 Website Design in Whitby, North Yorkshire. 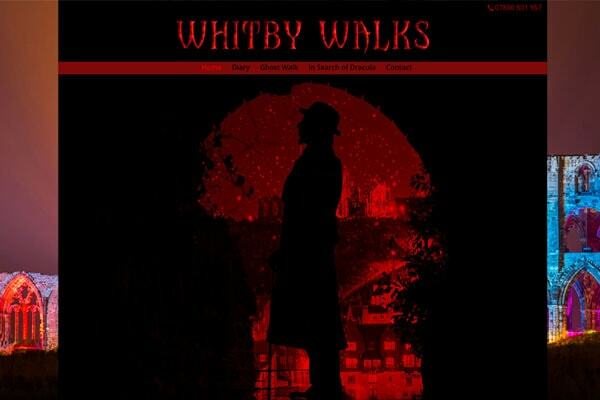 Media Vision is a design company based in Whitby, North Yorkshire. We have been designing and building websites since 1998. If you want to update your current site so it works on mobile, set up an online shop or simply want a fresh new look, find out more about our website design service. We provide a range of creative services, including photography, copywriting and proofreading, video production, animation, branding and design for print. All your design needs can be sourced from one studio. Find out more about our services here. Touchscreens are an established form of interpretation in museums and galleries. We create touchscreen interactives for museums across the whole of the UK. Using animation, interactive games and quizzes we can help you tell your story. Find out more about touchscreen interactives here. 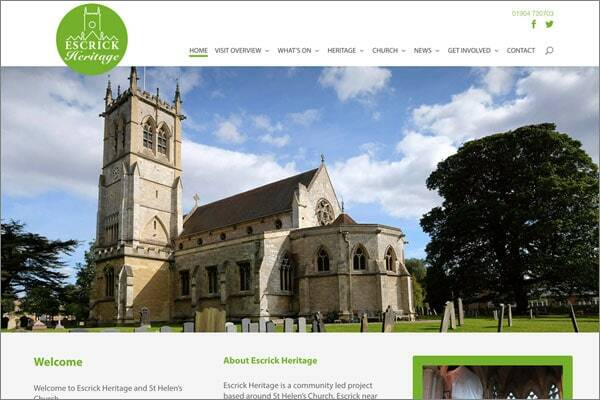 Escrick Heritage is a community led project based around St Helen’s Church, Escrick near York, in the UK. A fully featured online booking system, including design, photography and copywriting. 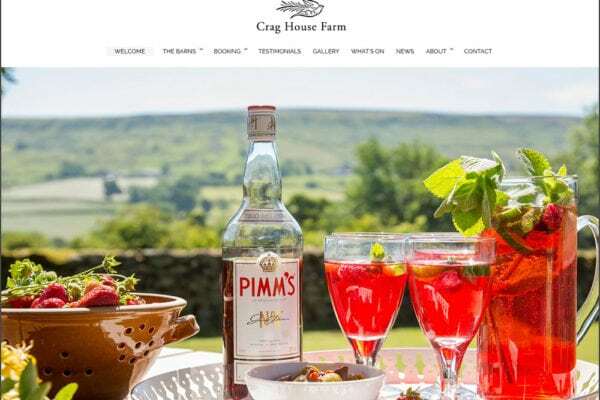 Crag House Farm website. 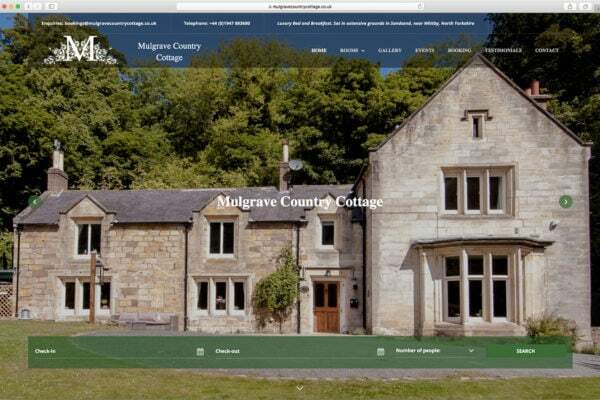 A responsive and beautiful website for award-winning barn conversions. 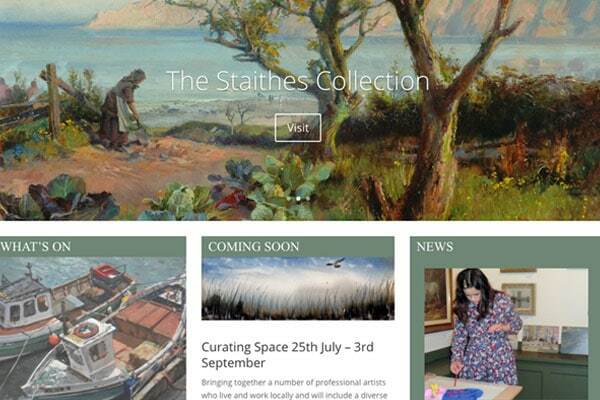 Pannett Art Gallery is Whitby's main municipal art gallery, known for the Staithes Group of artists. We have designed this website to be as useful and user-friendly as possible. By paring things down to the essentials, we hope we won’t bore you but that you will still be able to find everything you want to know. Want to see what we’ve done before? Head over to the Portfolio section. Who are we and what’s our approach? The About section should help. And if you are even unsure if we can help you, then take a look at our Services section, which describes the range of skills we have to offer. Enjoy the site! To keep overheads low, I work from home. In the age of superfast digital communications, there really is no need to all be sitting in the same room. But there is nothing like meeting face to face – especially in the early stages of a project. I am happy to visit you – in fact, this is how I prefer to work. By seeing you in your place of work, I can better understand your business or creative project. If you would like me to come to see you, please call 01947 603927 or go to the Contact page for more ways to get in touch. We have been in business for over 20 years and have worked with scores of business owners and entrepreneurs. We understand what is required to run a successful business. Crucially we understand the online perspective – from SEO to Social Media to Analytics, and we are happy to pass this on to you. Good communication is essential to the success of any human collaboration, and this does not exclude website design. We make sure we listen first, ask questions second, and only then will we give our view. Once we properly understand your needs we can make suggestions to ensure your project hits the mark. After the initial enquiry and conversations we will ask you for a brief – an outline of your requirements. Next, we’ll ask questions and then write a proposal which will let you know what we can do for you. We will also create an Estimate. Once a timetable has been agreed we can sign contracts and the work will begin!